This is a Coastal Carpet Python. 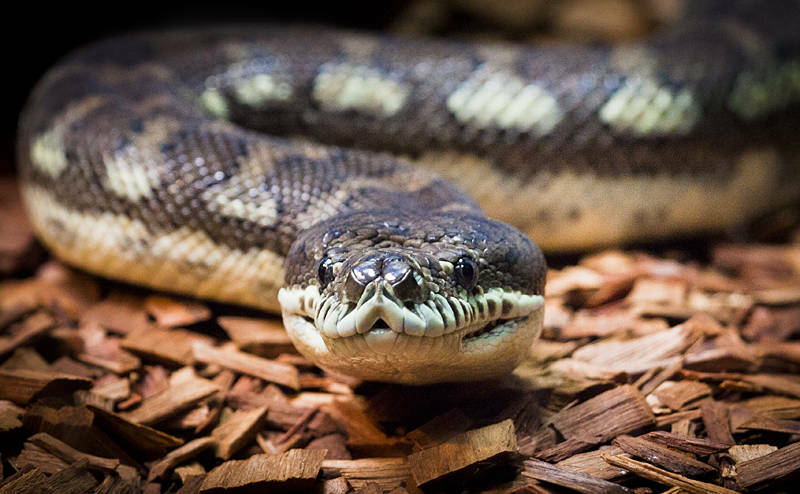 At up to 4 meters, it is the largest subspecies of Carpet Python and is found in Queensland and New South Wales. They are effective rat catchers but also eat bats, birds, lizards and even small dogs. Although they are not venomous I was glad this one was behind glass at Australia Zoo.